European equities are set to pare some of yesterday's losses following a sudden turn around overnight in the US. Despite some encouraging economic data out from Europe, it only stirred a muted response from the markets. Instead, a mixed batch of earnings results weighed on sentiment and dragged markets into the red. US equities also opened with weakness until an article in the Wall Street Journal, which suggested that the Fed could be a little more dovish sparked some bullishness. The Dow Jones slipped into red during the morning session as the unemployment claims were slightly above expectations. A separate report indicated the durable goods orders rose more than the estimates. So that mixed bag of economic data kept investors' sentiment at arm's length with the Dow regaining the lost ground late in the day to end near flat at 15,553. Despite this morning's positive start though, gains may be capped as traders tread cautiously ahead of next week which sees a raft of key Central bank meetings, speeches and releases and a host of sentiment deciding economic data. European markets outperformed yesterday, managing to shrug off some bearish cues around the world and end higher whilst Asia and the US retreated. Spurred on by their resilience, traders will be hoping for a repeat today with economic data providing the catalyst. A moderation in the Spanish unemployment rate and an increase in the German IFO Business Climate should keep the continent happy, whilst closer to home the first reading for Q2 UK GDP is expected to confirm the bullish undercurrent. Despite the raft of better-than-expected economic data indicating a gathering recovery, in a very British way markets have been somewhat understated about it. Although two consecutive quarters of growth should be indicative of a recovering economy, we've been fooled twice already since the start of the crisis so bears and critics still haven't quite capitulated yet. The FTSE still languishes some 250 points off its all-time highs and in the last few weeks has been capped around the 6660 level. Should today's figure come out towards the top estimates though, we could see a sustained move above that level. Strong US economic data regarding the manufacturing and housing sectors helped push the Dow Jones to a fresh record of 15,620. However, corporate earnings were a mixed bag, with Apple rising 5% but Caterpillar the machinery giant slipping 2.4% after downgrading its outlook. So, being invited to be cautious, investors did not think twice and booked profits in the afternoon session. The Dow closed 10 points lower at 15,560 and this day by day approach might stay with us for a while. European equities are set to open cautiously higher as traders prepare for a raft of economic data. Overnight, the HSBC China Manufacturing PMI surprised to the downside in another sign that the economic behemoth is losing momentum. However, the negative data has been initially shrugged off as traders cling onto the hope that this morning's European Manufacturing and Services PMIs will show the expected improvements. Should the weak Chinese data turn out to be a prophecy of what to expect from Europe, we could see some sharp moves lower as traders take it as a cue to book profits. The Dow Jones resumed its rally, gaining 27 points to 15,574, despite some weaker than expected manufacturing data as shown by the Richmond Manufacturing Index. Nonetheless, the price dropped into negative territory a few times during the trading session, reflecting disappointing results for some of the technology companies. Despite last night's flat finish, equity markets are creeping up once again and we are expecting to see some gains on the open. Although yesterday's US housing data came in below expectations and earnings were a bit of a mixed bag, hopes are rising that today's releases will be enough to encourage some bullish spirit. However, markets are looking a little precarious, perched on their short-term highs following the rally since late June. If nothing provides a significant bullish catalyst in the next few days, then those same investors who are currently in 'wait and see' mode may decide to start taking profits. The Dow managed to reach an intraday high of 15,595 yesterday before retracing towards the close, settling 21 points lower at 15,549. With the US economy doing only slightly better, investors have become increasingly confident that early tapering is off the table. Whilst that confidence is supporting the stock markets, the odd bout of profit taking is inevitable as we move to new highs. A bit of optimism seems to have crept into the markets this morning, with European indices set to start higher. A possible source for the buoyancy could be Shinzo Abe's upper house election win in Japan. However, most Asian markets seem to have pared their early gains, having 'bought the rumour and sold the news', and are now trading flat to marginally lower. A more likely explanation for the creeping bids is speculation that this week's economic data and earnings results could set a bullish tone for the markets. In the US, the brightening housing sector is set to continue its recent gains with improvements in Existing and New homes sales. We will also see some bellwether stocks such as McDonalds, Apple, Ford and Amazon give an insight into consumer demand. In addition, Manufacturing and Services PMI's from China and Europe are set to give some clarity on the global economy, both of which are expected to show some modest improvement. Closer to home, Preliminary UK GDP figures are set to pick up and confirm the recent picture of success that various data points have been painting. On the one hand, technology stocks like Microsoft and Google disappointed the markets by missing their estimates. However, on the other hand, those weak tech results were overshadowed by giants like General Electric as investors seemed to favour the positive side of the story. 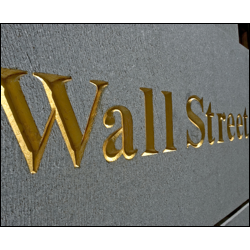 Therefore, with more than 70% of corporate results so far topping the estimates, sentiment remained optimistic and pushed the Dow Jones another 41 points higher to 15,561.5. Yesterday's better-than-expected US corporate earnings triggered a 38 point rally in the Dow Jones to a fresh record high of 15,529. The release of lower jobless claims also supported the gains as investors feel increasingly confident that Bernanke is guiding the market and trying to avoid any potential shocks. However, despite the firm finish, a weak start is expected in Europe as disappointing overnight results from Google and Microsoft weigh on sentiment and Asia sees some choppy trading. Although US indices have deemed the current economic environment worthy of new all-time highs, their European counterparts are still shy about exhibiting such opulence. With Bernanke out of the way and a fairly light economic calendar today, attention now moves towards the G20. A flat start is expected in Europe as traders look for new cues. Yesterday, Federal Reserve Chairman Ben Bernanke made some additional comments regarding US monetary policy following speculation that he is in no mood for tapering just yet. He said that stimulus is not 'on a preset course' and will only be determined by the economic data. The fairly balanced message was marked by a relative lack of volatility compared to his other recent outings. It seems that the 'taper not tighten' message is finally sinking into traders' future expectations and so yesterday's comments didn't provide any real catalyst. Also, whilst the MPC's unanimous vote to keep further asset purchases on hold did see a knee-jerk reaction lower, it didn't seem to do too much for the bears. This could be a sign that traders are very slowly getting weaned off quantitative easing, instead dusting off their fundamental analysis textbooks and trying to remember what should really dictate an economy. Overall, we saw a gain in investors' optimism for stocks and shares, with the Dow Jones rising slightly to 15,491 despite a surprise fall in the US housing starts. Stock markets in Europe look set for another muted start as traders wait for Bernanke's testimony to Congress this afternoon. Over the last two months, markets initially interpreted Bernanke's words as hawkish and then swung round to the dovish case. This means that tension is brewing as to what mood he is in today. However, having seen the volatility induced by his remarks, Bernanke is likely to tread right down the middle, reiterating the 'tapering not tightening line' and reminding markets that accommodative monetary policy will end one day, just not yet. Before that though we will have the latest MPC minutes, meaning that traders will get to see the conviction of Carney's dovishness. Speculation and rumours about how he voted seem to be evenly split between calling for more QE or holding steady. The doves were already in the minority during King's reign but the arguments against more asset purchase continue to stack up. The pick up in economic data and stubborn levels of inflation are likely to have put any further purchases on the back burner. We saw Coca-Cola missing estimates due to weak figures from Europe and China, which in turn reminded everyone that US corporations are increasingly linked to the outside world. At the time, Kansas City Fed President George made some hawkish comments saying that cuts in monetary stimulus are 'appropriate'. That put downside pressure on equities, helping to send the Dow Jones 28 points lower to 15,453. Equity markets are set to drift lower this morning on a lack of new catalysts. I wonder whether yesterday's low volumes should be attributed to the exceptional summer climate or the fact that Bernanke isn't due to speak until Wednesday? With economic data currently taking a back seat to the voices of central bankers, traders seem quite content with the dovish songs being sung in unison. Inflation data from the US and EU is expected to show that it remains subdued. However, in the UK, we could see Carney having to pen an explanation to George Osborne, and more importantly the nation, as to why the squeezed middle continues to get wrung out. The Bank of England inflation mandate was recently 'fudged' to allow for an extended period of overshooting the 2% target if the economy is in such a dire state as to require it. Therefore, with Carney hinting that interest rates won't rise for some time, it looks clear that real wages and living standards are set to be sacrificed for Carney's gamble to reach 'escape velocity'. Despite the disappointing US retail sales figures, the Dow Jones posted another all-time closing high at 15,485.5, adding 52.5 points overall. Support was provided by positive corporate earnings, with Citigroup in particular rising more than 2% after beating estimates. European stock markets are set to start the week with a slight gain following some Chinese growth data. Overnight, China's GDP in the second quarter dropped to 7.5%, which was inline with expectations. Although hopes that the world's second largest economy could somehow lift the rest of the world out of the slump are quickly fading, the fact that it wasn't substantially lower is the reason for this morning's buoyancy. Having said that, as ever with Chinese data, critics are questioning the credibility of the result and some speculative suggestions believe that the true figure may have a 6% handle. Although US markets seem to have no qualms about testing new highs, European stocks have been more reserved about such an aggressive move so soon after the recent taper correction. Even with the forward guidance of Carney and Draghi at the back of the market, there doesn't seem to be any confidence to get things moving higher. Once again, we are seeing our spread betting account holders don their bearish attire and look for levels to get short. At odds with Ben Bernanke, Philadelphia Fed President Charles Plosser expressed his view that tapering should begin in September. That tempered some investor optimism, pushing the Dow Jones 18.5 points lower to 15,432. However, amid these rather conflicting set of messages from Fed officials, we feel that corporate earnings have the potential to shape the short-term direction.